A must have for baby is a good lightweight stroller. I like to keep a stroller in the car, but want one that is small and doesn't take up too much room. You never know when you will be out and about and need it. 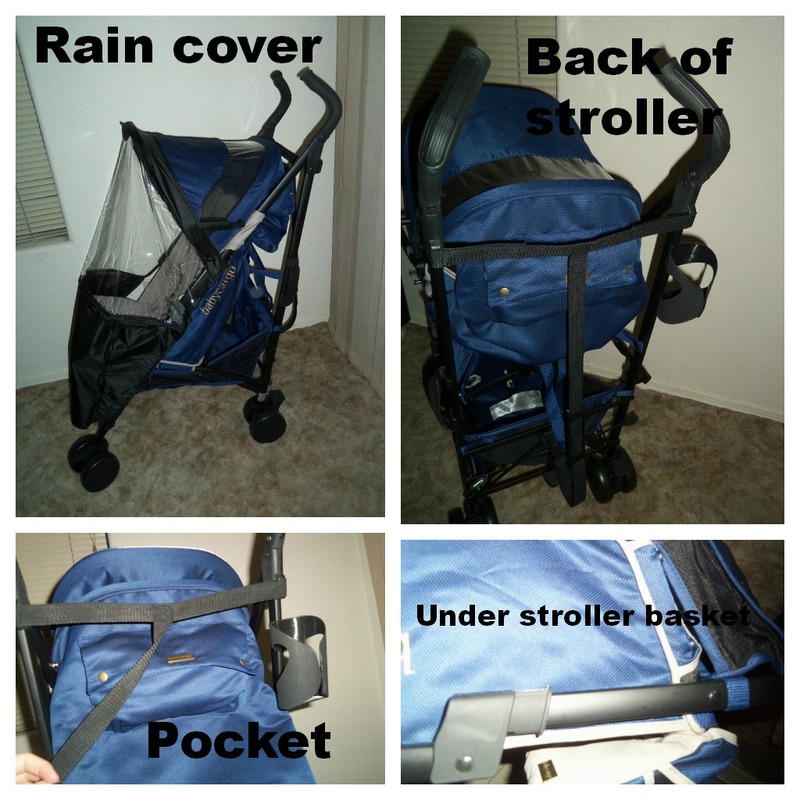 When I was offered the Baby Cargo Lightweight Stroller for review I was immediately interested. * For use birth to 50lbs. * Lightweight at under 14lbs. 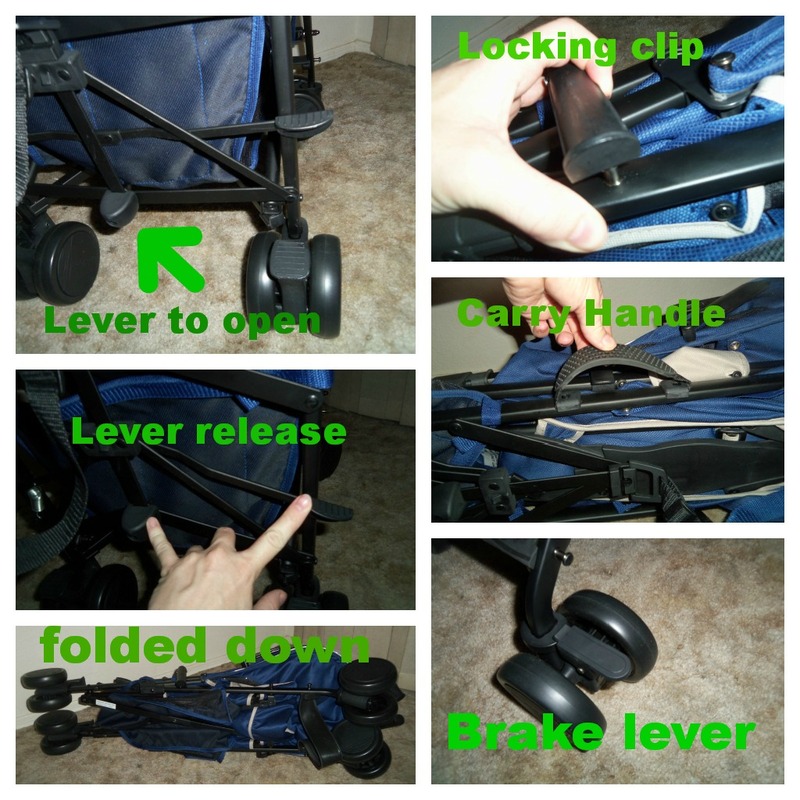 I received the stroller and was immediately impressed by all the features on a lightweight stroller. I really like that it can be used from birth as many lightweight strollers are not usable with newborns. This is great for the moms that don't want to use a carrier car seat and/or lug around a travel system. With 2 children now space is limited and having a usable stroller take up less room is perfect. Something else I love about it is the height of the handles. John and I are both somewhat tall and the handles are up much higher making it easier to push. John even commented when he tried it out that he doesn't have to bend over. The stroller glides easily. Our old stroller with Jayden always seemed to have problems and would frustrate us as the wheels would not go or turn when we wanted. The stroller is much easier to control. Its a lightweight stroller, but still has great features of a larger stroller like the under stroller basket, zipper pouch, and the cup holder. All great benefits for sure. The stroller fit Jayden comfortably. I then put Baby Evan in it and he fits too. I laid the seat back all the way for Evan. I like that the front can also be pulled up to kind of keep him contained inside. Jayden enjoyed pushing his brother around in this stroller. The shade cover is large and covers most of the stroller, but if the seat is laid back all the way then it does not come down as far in front. This stroller folds up small and has become my go to stroller. I will be keeping it in my car for anytime we are out and about. It is perfect since I am not using an infant car seat carrier with Evan. I can use the stroller when I am not baby wearing him. Win it: One (1) Arizona Mama reader will win a Baby Cargo 200 Series Lightweight Stroller. Enter in the Rafflecopter form below! This giveaway will be open until 9/27 at 12:01AM (EST). Thank you to Baby Cargo for sponsoring this review and giveaway. That the 200 series stroller has an adjustable back rest and foot rest! Would love to have one! My fave feature is the recline and adjustable foot rest! I also love that the stroller is lightweight. I love all the colors of the300 series! I love that it reclines! I love the Georgi Bag, ingenious! My favorite feature is the under stroller basket. I love the Georgi bag in moonless night, what an awesome idea! My favorite feature of the stroller is that the front can be pulled up for newborns! I love all the different colors of the 300 series! I also love the Georgi Stroller Bag, what a great idea! I like how lightweight it is but that it can also hold up to 50 pounds! It looks like a great stroller! I love that it is ultra lightweight! Very important! I like the fact that it can be used from birth. The stitches, rivets, and dyes are hand tested for safety. This would be so useful at my house! I love that it is SO lightweight! I like the black matte aluminum frame! I also like that it holds up to 50 lbs! I love how affordable and stylish the strollers are! The perfect stroller! Its a tie between the 5 point harness and the cup holder, you usually don't find those in an umbrella stroller! I like the steel/sky color combo! My favorite feature is that the seat lies back - awesome for infants! I love that the company consists of experienced designers, but who are also new parents. Thanks so much for the giveaway! I really love the Five-point safety belt. Better for carrying infants. I like the Georgi Bag that works with the stroller! Looks nice to be able to store things in during walks. I like the rain cover that goes with the stroller! I also like the Georgi Bag attachment. I like how stylish it is. I love that it is easy to fold and has a foot rest for my nephew! I like the 300 Series Lightweight Umbrella Stroller in Eclipse. The Georgi bag is very clever! I also like the Stroller 300 Series and it has ultra-lightweight black matte aluminum frame. I like the Georgi Bag in Chili and Tangerine. I love that their motto is attractive but still affordable. Love that it is lightweight. I hate having to lug a heavy stroller in and out of the car. Love that it's good for tall parents! I love that this is good from birth. I have a four month old and just bought a cheap umbrella stroller and she HATES it. She doesn't look comfortable at all because it doesn't recline enough. I also love how well designed this stroller is. They seem to have thought of everything. I'm the newest lover of quality. My favorite feature is the rain cover! I like the Georgi Stroller bag in ocean/wave. I like that it is light weight. I also LOVE the Georgi bag to go with it! The Georgi Bag in ash. I like the 300 series in the eclipse. I love that it's lightweight and compact! fave feature is that it holds up to 50 lbs!!! I learned that Baby Cargo is made by parents as well as designers and engineers. I love the design of the Georgi Bag. I love that this stroller has a rain cover and the Georgi bag is very nice. My favorite feature would be the rain cover, but I love that it is lightweight AND has a 5-point safety harness. I love the design of the Stroller 300 Series it's cool. It's lightweight and it reclines. "Every stitch, dye, button and rivet is hand-tested for baby readiness, as well as aesthetic quality." My favorite feature of the stroller is that the front can be pulled up for newborns. i like the harness. thanks! I like the Stroller 300 Series! My favorite feature is that the front can be pulled up for newborns. I like that it reclines. I like the 200 series in smoke and mirrors. I like the fact that it reclines and grows with kiddos. The Multi position back rest and adjustable leg rest, you just can't find that in a lot of the lightweight strollers out there. I love the 300 series stroller.